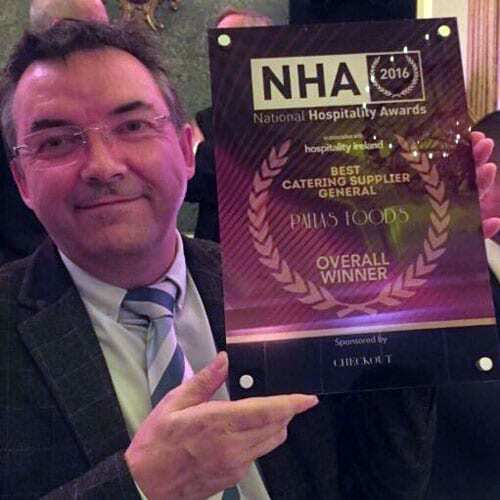 For the 9th year in a row Pallas Foods has won the Best Catering Supplier at the National Hospitality Awards at the Intercontinental Hotel in Dublin on Monday 7th November. This award is voted for by the industry and is a mark of how well Pallas Foods performs in servicing our customer base throughout the country. Patrick Clement, Executive Development Chef, attended the event on behalf of Pallas Foods.